S.M.San Min (Suwa) is one of the longest running Chinese Independent High School in Perak, founded in the year 1929. The current surge of students, almost to the point of saturation has led to the shortage of facilities and funds. As such, teachers and students need to raise funds every year. Nirvana has been helping out the school where and when we can, prioritising the school’s less-than-well-off students and the completion of their education. We also encourage all our clients, agents and employees as well to help these needy students. Aiding patrons of old folk homes in completing their final wishes. 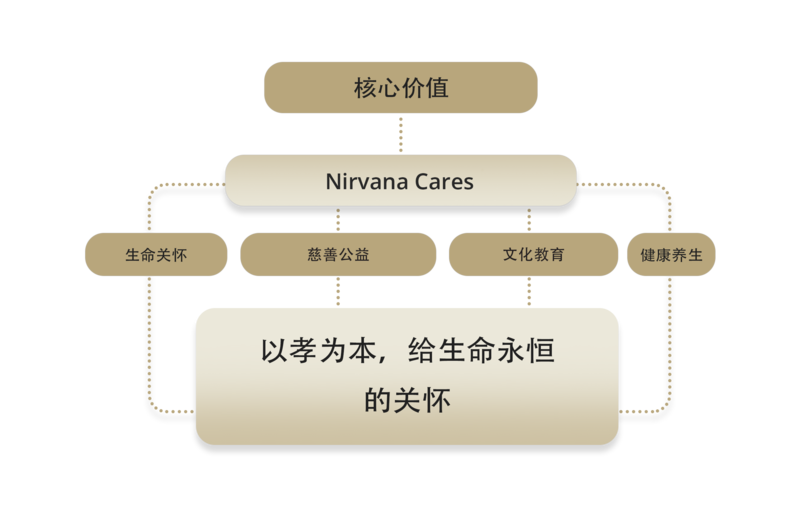 Nirvana has launched the “Love & Care” campaign (donation of niche and other funeral service products) was designed to help provide funeral services for the less-well-off citizens, primarily the needy and/or any challenged or handicapped citizens. To walk with them through the final stages of their life and to complete their final journeys.